The biggest problem we face when we try to solve math equations with a calculator app is entering the data using the on-screen buttons. 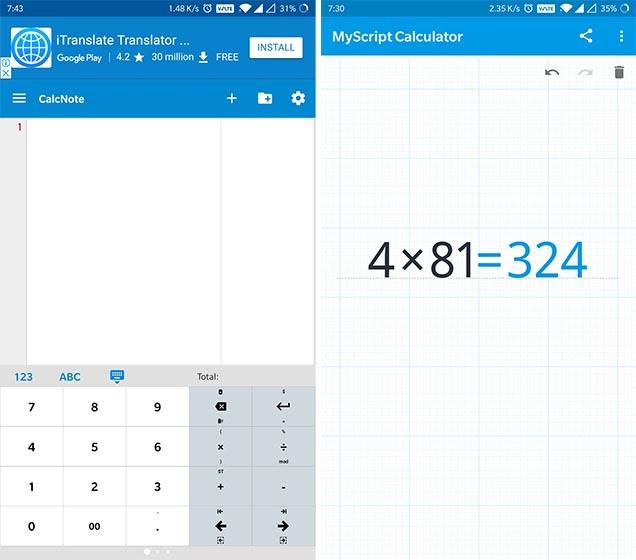 We are used to writing and solving equations on a paper, so a switch to on-screen buttons makes things a little harder; unless you have the MyScript Calculator app. The app lets you use your hand or a stylus pen to enter equations, after which it’s converted into a digital equation. It solves equations in real-time and also fills-in any gaps you may have left while drawing (quite smartly, I must say). I had no problem entering equations using my finger, but I suppose the app will work best with a stylus and on larger screens, like a tablet. It supports all common operations such as, constants, brackets, exponentials, trigonometry and logarithms. If you are not good with digital calculators, give MyScript Calculator a shot. 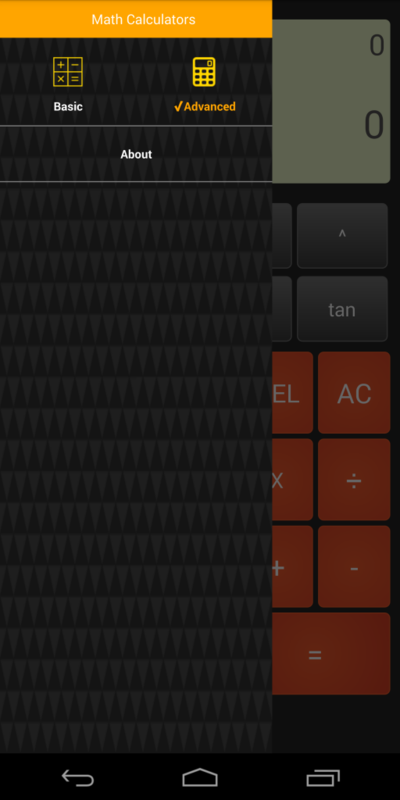 If any other scientific calculator just doesn’t cut it for you and you’re on the lookout for a single calculator app that will be able to do it all, then you should definitely check out the All-in-One Calculator app from CalcKit. 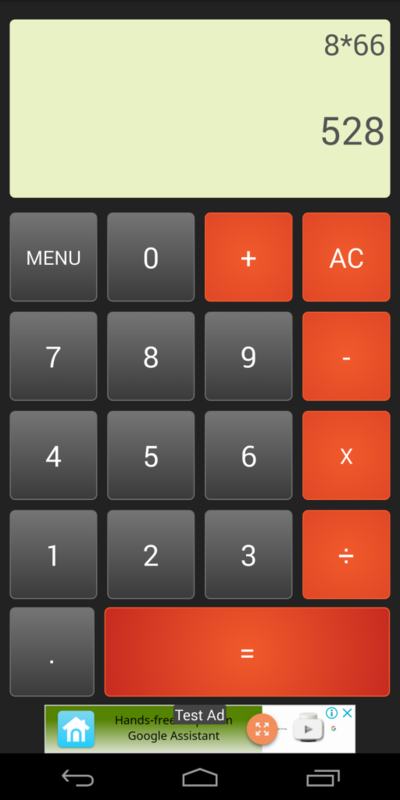 The app features over 150 calculators and unit converters, a highly customizable scientific and RPN calculator, a floating calculator widget, editable calculator history, and much more. With this set of calculators, you’ll be able to solve everything from complex 3D geometry to simple unit conversions right from within the same app. The CalcKit All-in-One Calculator is a great option for both students and professionals who find themselves using a variety of different calculators often in their daily lives. Calculator Villa is not just another free online calculator. It is an App that aims to solve all secondary Maths and Physics calculation problems. 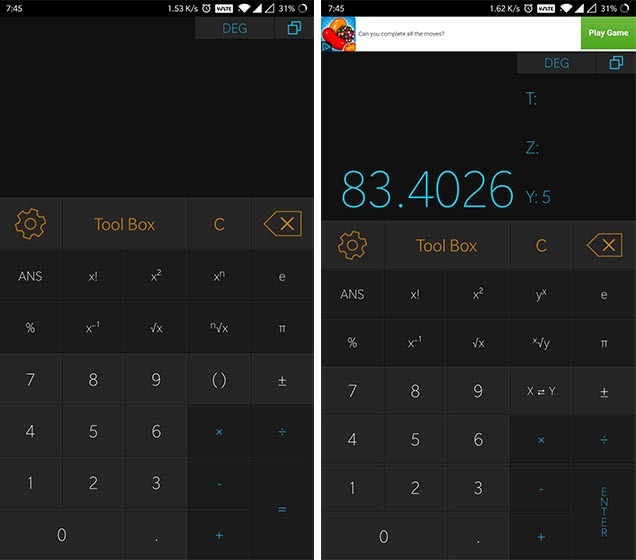 Currently Calculator Villa supports 2 basic calculators, however, their promise to develop this App to include all Maths and Physics calculator modules cannot be ignored. They are also working on a machine learning research that would enable the calculator to show the process it took to get to a solution in the same way a human teacher would. One of the best parts of Calculator Villa is that you have direct access to their developers. This is the only app that gives users direct access to the developers. Additionally, they have one of the friendliest support. All forms of suggestions are welcome. 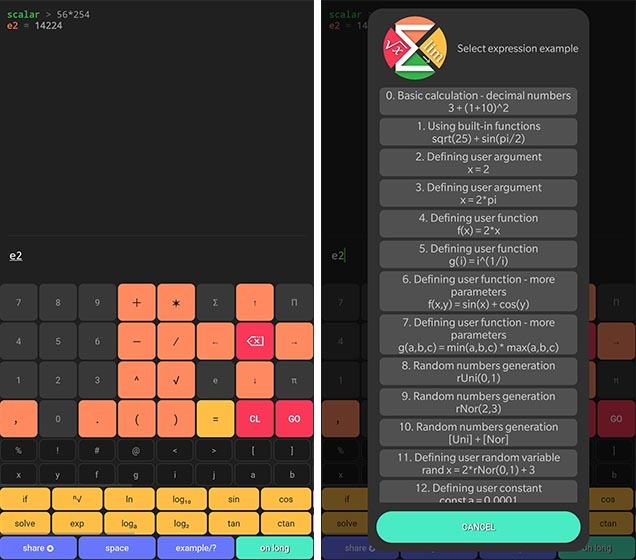 What sets Scalar apart from other calculator apps on this list is the fact that it isn’t any old scientific calculator; instead, it’s a powerful math engine and math scripting language that will allow users to write scripts that are capable of significantly accelerating their workflow. Granted, the calculator is a bit too advanced for the average user, but it’s a perfect fit for advanced users looking for a calculator that allows them to create scripts to simplify their work. Additionally, the calculator also allows users to create highly personalized function charts that can be shared with other users. If you’re looking for a calculator that is capable of instantly plotting any equation on a graph, then the Desmos Graphing Calculator is your best bet. The app includes support for plotting polar, Cartesian and parametric graphs, allows users to adjust values interactively with sliders, input and plot table data, and a lot more. 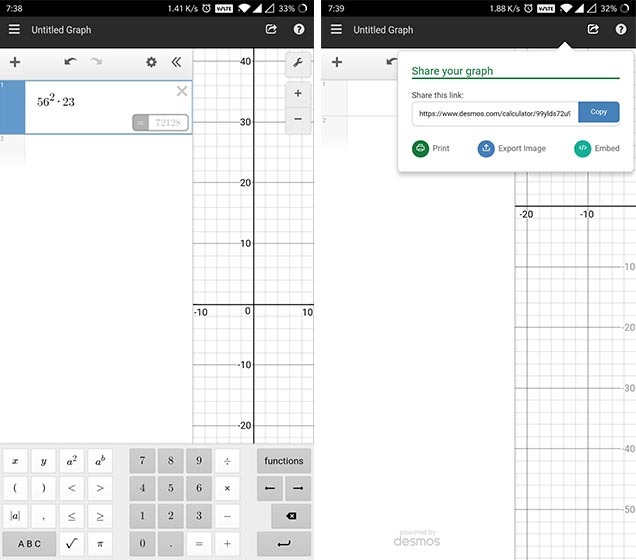 On top of all of its graphing capabilities, the Desmos Graphing Calculator app can also be used as an advanced scientific calculator, offering all of the features you’d find in other popular scientific calculators.